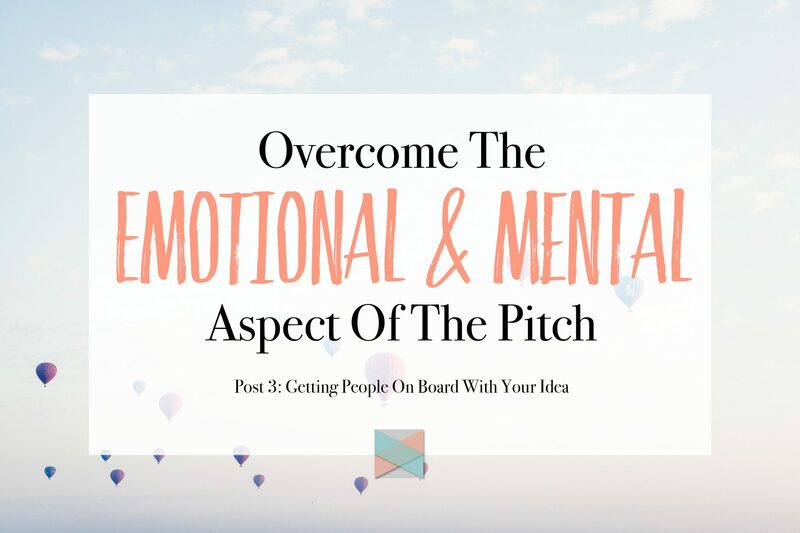 Giving a pitch naturally makes you vulnerable to mental and emotional lash back since you are sharing what is on your heart and about something you are passionate about. The first post in this blog series was about the fundamentals of giving a pitch, whereas the second post was about taking your pitch to the next level. 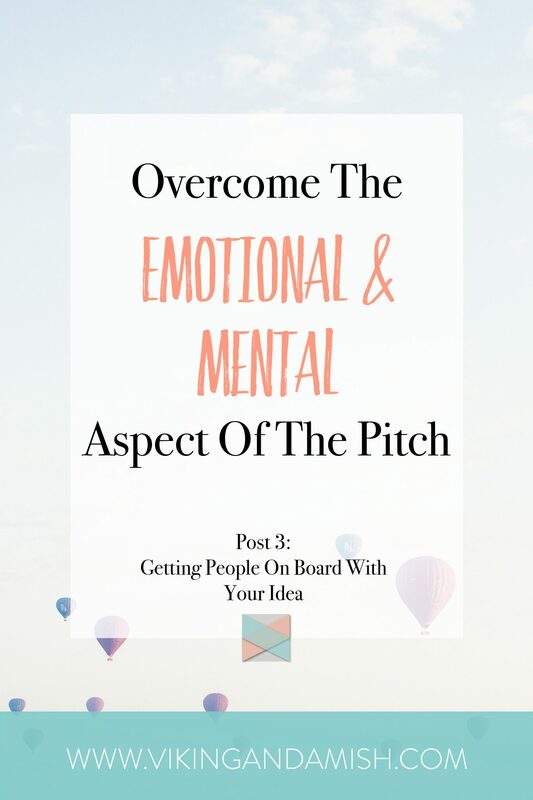 To win at the emotional and mental aspect of the pitch you’ll need tools that focus on you! My father in law always tells me to “bet” on myself. I love that saying because it removes any dumb excuse or the responsibility I might put on others to make things happen. When I bet on myself, I have to be determined and focused. Here I share some of the tools I use to do that. Studies have shown that people are more afraid of public speaking than they are of dying. Think about that for a second! Public speaking is something that is a real fear for many people, but the truth is that a pitch is a form of public speaking. That is why I encourage people to become comfortable with public speaking. I have a post with 5 tips that can help you relax before public speaking. I have found that practicing them has decreased my general fear of public speaking and today I am more comfortable doing it than I ever have been. If this is not a fear that you can relate to, that is great. Not many people can relate to that. As I am slowly becoming more and more comfortable with teaching grown-ups and public speaking I have noticed that I need to be careful with not taking this for granted. What happens when we approach public speaking too lax is that we stop preparing and putting effort into the message. Continue to prepare in the same way you would even if you are not nervous. This is one of my favorite little “life hacks,” because it makes such a difference, and it is super simple. Basically, the idea is that our body position sends signals to our brain about how we are supposed to feel. This means we can position our body to make us feel powerful and compelling, or we can have a body position that indicates our emotions that we are powerless and weak. Think about how much of a difference it will make when you present your pitch if you feel successful or you feel discouraged. It is a game changer! Also, since it feels like you are doing Jedi mind tricks on yourself, it is a lot of secret fun in the beginning. So how does it work? I don’t know anyone who explains this better than Amy Cuddy. Honestly, you want to watch this video when you have 20 minutes to spare. As with anything that you want to fine-tune welcome feedback. Feedback can be a little scary at times, especially if we tend to view feedback as criticism. Avoid the urge to defend your idea—your idea will withstand criticism if it is a good concept. This also means that you don’t need to spend extra time explaining your disposition if the listener didn’t get it. If they don’t, then see it as a sign that you may need to sharpen your message. Only spend time explaining things, if they ask specific questions. Maybe the feedback will reveal an area that you merely need to think about and implement in the future. Always show appreciation for the thoughts of others. Say thank you. If you continue to get the same feedback about an area that is difficult to understand or the listeners think you should change, consider if it time to go back to your drawing board for re-evaluation. 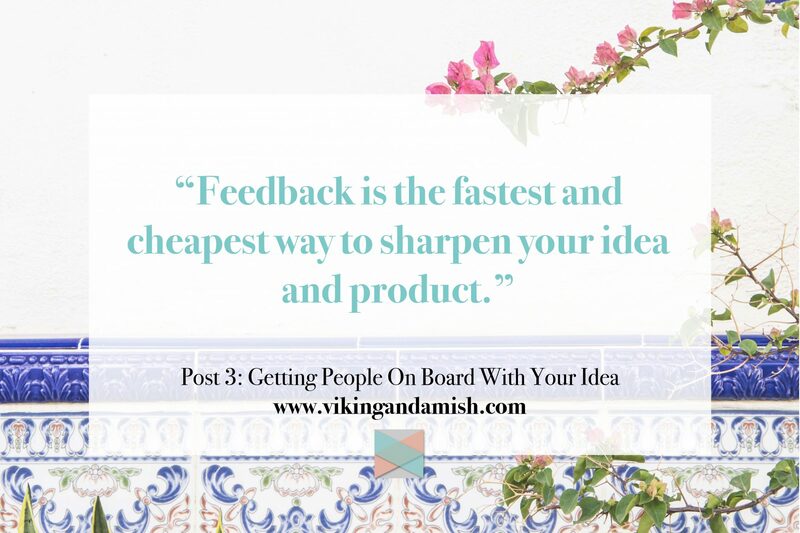 Feedback is the fastest and cheapest way to sharpen your idea and product. I often meet people these days that are going through tough things, and for many of them, they don’t know how to deal with it emotionally. Defeat seems to permanent in their mind. I am reluctant to share my own story with people for many reasons, but mostly, because I don’t want to dwell on the past and also because it is so far behind me—I have dealt with it. In a way, my past has made me resilient, and it has taught me to bet on myself. I don’t fear failure, though it is not fun, and I welcome adversity. I might seem like a crazy person when a friend is telling me about a challenge in their life, and I get excited on their behalf, but I’m excited for the opportunities that come along with the hardship. When it comes to my professional life, it means that a “no” is exciting, because it just says there are other doors I need to knock on. On a practical level, that has meant that when, recently, I have applied for a job and didn’t get it, I looked at the challenges and opportunities for learning new things in other positions. Hurdles that gave me skills that have now brought forth loads of new opportunities. Defeat is not a permanent state in life, it is a step that will advance your ability to fight harder, think outside the box, learn from your mistakes, and adjust your strategy. “To become resilient, you must understand that success and rejection go hand-in-hand and that you simply cannot advance if you always play it safe.” —The Muse, How to Move on When You Didn’t Land the Job. I hope this post has given you tools and thoughts on how to succeed and keep grinding with your idea. I really want you to achieve your dreams, and I urge you to leave a comment below so that everyone else who reads this can “bet on you” as well.